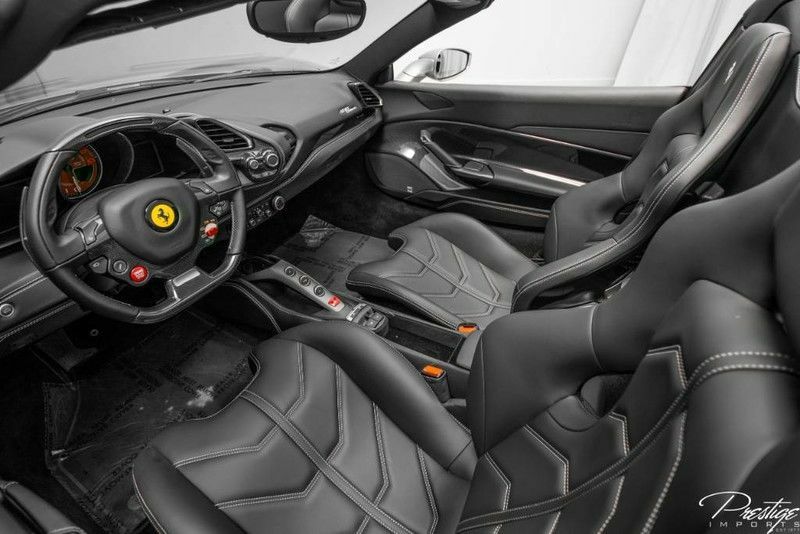 One of the most recognizable exotic sports cars on the market today is without a doubt the Ferrari 488 and its convertible version, the 488 Spider. It’s a solid competitor for some of our Lamborghini models and is always a popular choice. We’ve currently got a 2018 488 Spider for sale here in North Miami Beach FL with a Grigio Titanio Metallizzato Metallic exterior and less than 600 miles on the odometer if you think you might be interested. Powered by a 3.9L V8 engine that’s tethered to a 7-speed Dual-Clutch Transmission, the 2018 Ferrari 488 is capable of generating 660 horsepower which allows it to hit 60 miles per hour in a lightning-fast 2.9 seconds, before pressing on to a full quarter-mile in 10.6 s. Although it might be the most impressive and exciting aspect of a Ferrari, performance is not all that the 488 Spider has to offer. There are plenty of premium features found throughout the vehicle to get stoked about as well. For instance, there are two LCD monitors in the dashboard, a display audio system that features a glovebox-mounted 6-disc changer with auxiliary input and more, a six-speaker Harman/Kardon audio system, rain-detecting variable intermittent windshield wipers, rear fog lamps, ZR-speed sport tires, remote keyless entry with Integrated Key Transmitter and illuminated entry, a 12-volt DC power outlet, push-button start, dual-zone automatic climate control and more. 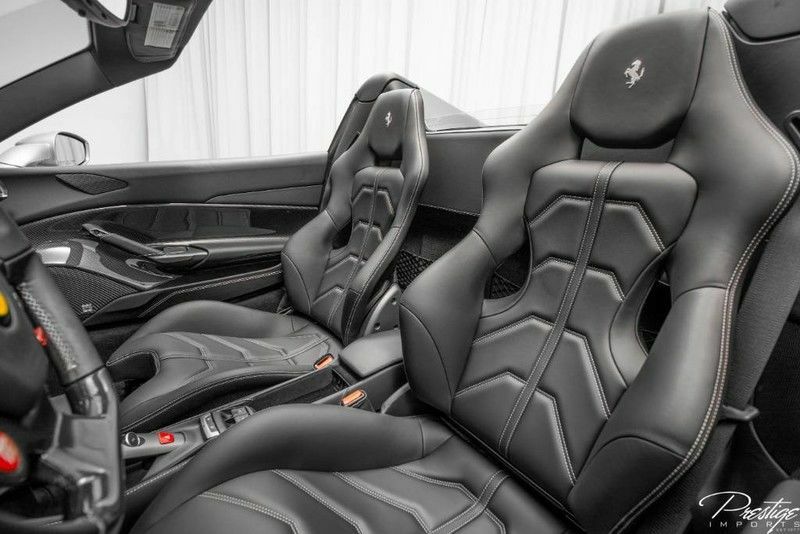 If you think you might be interested in making this 2018 Ferrari 488 Spider your own, be sure to get in touch with us right here at Prestige Imports today! We’ll get you a test drive scheduled so you can try it out for yourself, and we’ll move on from there. 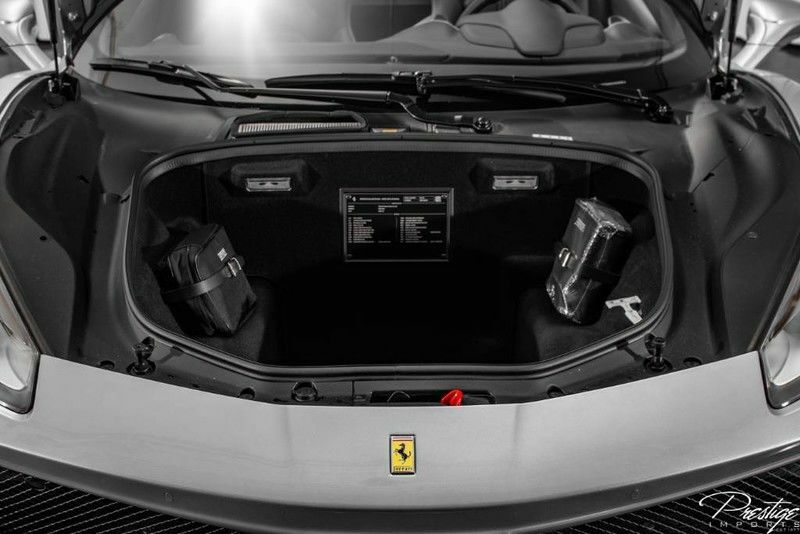 This entry was posted on Monday, December 24th, 2018 at 7:56 pm	and is filed under Ferrari. You can follow any responses to this entry through the RSS 2.0 feed. You can skip to the end and leave a response. Pinging is currently not allowed.